Two years ago, the team behind Gerabo was not satisfied with existing customer loyalty systems based on cards or apps which had mostly been set up to collect customer data. It was time for “The most honest loyalty card/ app in the world” – it is anonymous. So far we can present a number of 7,500 issued cards of which 70% are in regular use. Nearly 2 million Euros worth transactions and 25,000 Euros prepaid volume show that customers appreciate the anonymous use. 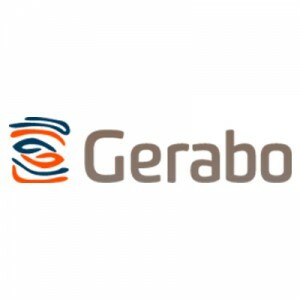 The Gerabo card combines pre-paid, vouchers, gift cards, reward cards and a social couponing option cleverly, by applying our SaaS loyalty backend. It has never been so easy for merchants to us all these features combined; they only need a smart phone at point of sale (POS). Naturally we gained in depth knowledge of integrating our system with existing cashiers. This makes Gerabo highly attractive for supermarkets. The first nationwide go-live for a supermarket chain is planned for 2015. Just recently we have established a cooperation with a wholesaler as well as a cashier manufacturer. This cooperation is going to generate growth in the company. Therefore, we are happy to use FIWARE technology to make our service scalable.